When it comes to providing top performance Plum trampolines, Trampolines Online should be your number one choice! Our exquisite Plum trampoline range which is on sale and come in various shapes and sizes. They are perfect for the garden during the summer time. Safety on a trampoline is our most priority which is why you can be confident to buy our Plum trampolines. They have built-in safety enclosures to protect your children from injuring themselves. We encourage children, teenagers and adults to exercise, stay healthy and have fun. The phrase ‘Exercise through Play’ is how we deliver that message to them so that they can keep healthy, fit and active. When bouncing on a trampoline, you are exercising which is a fantastic way for you and your children to enjoy fun activities outdoors. Plum trampolines have been around for many years and they never seem to disappoint. Choose from our selection of small to large and 6ft to 14ft Plum trampolines. Don’t miss out on our stunning Plum trampoline range as you won’t find a better quality of them anywhere else. Compared to our competitor’s prices, we can beat them as all of our trampolines are on sale and at affordable prices. For example, you could save up to 32% when buying one of our Plum trampolines! 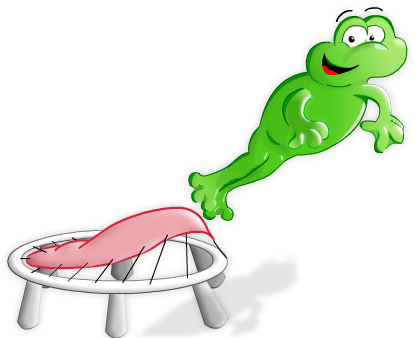 To see more of our other manufactured trampolines that are on sale such as our Jumpking trampolines and our Cortez trampolines, click on the links for further details. Here at Trampolines Online, we do our utmost to make sure that our clients and customers get the best quality trampolines. We believe our Plum trampolines will provide entertainment to you and your children. For more information about our Plum trampolines range, email sales@trampolinesonline.co.uk and we will respond to your message as soon as possible.